It was exactly 50 years ago that a human being first traveled to outer space. 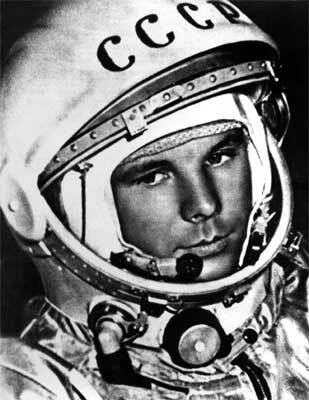 Yuri Alekseyevich Gagarin was launched into Earth orbit by the former Soviet Union on 12 April 1961, creating history. He travelled to orbit aboard the Vostok 3KA-3 (Vostok 1), which made a single orbital flight that lasted 108 minutes, or just under two hours. The maximum speed reached was 28,260 kilometers per hour – faster than any human had moved before. At its highest point, Gagarin was about 200 miles (327 kilometers) above Earth. He paved the way for hundreds of men and women from many nations to travel to near space as well as to the Moon. Up to mid 2010, a little over 500 human beings have travelled to space from 38 nationalities. First Orbit, a new documentary film that reconstructs Gagarin’s historic flight, has just been released for free viewing on YouTube. The making of this documentary is a remarkable story in itself. Gagarin’s original spacecraft did not have space or capacity for filming, so there is no visual record of what he saw. But he kept in touch with his control room via radio, and gave many interviews upon return that help us imagine what he experienced. Now, First Orbit literally takes us to space in an attempt to retrace what Gagarin saw. It is directed by Dr Christopher Riley, the British writer, broadcaster and film maker, and was made in partnership with the Russian space agency. Additional material has come from the European Space Agency (ESA) and NASA. Most importantly, First Orbit is a a free film that everyone can watch online in full, and also allowed to be downloaded for free. This is in the spirit of Gagarin’s first flight which was not just for one nation, but for all mankind.